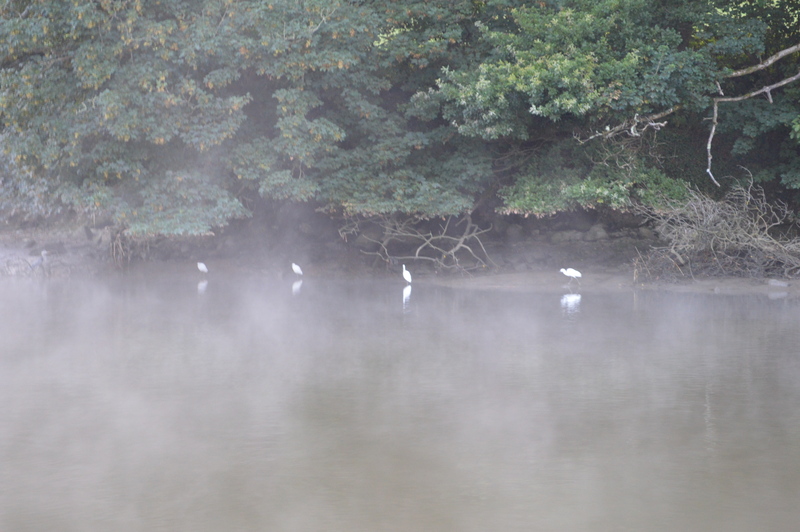 The early morning mist reveals four egrets. We enjoy the peace together. The tide is falling and I decide to wait till after lunch before leaving. There will still be an hour or so to the next high tide but it will be slackening. This gives me a morning to do odd jobs on the boat and time to sit and read.